Prominent politicians from the Democrat, Future Forward, Pheu Thai and Phalang Pracharat parties join a debate on Thais’ healthcare future at the K-Bank Siam Pic-Ganesha theatre in Bangkok yesterday. JUDGING by what key politicians had to say at a public debate yesterday, it looks like the universal healthcare scheme will stay no matter which party leads the next government. 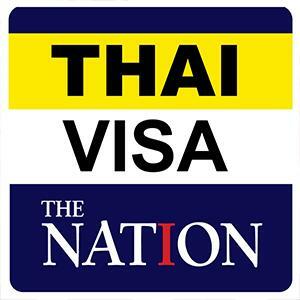 The scheme, which now covers about 48 million Thais, will very likely get an upgrade thanks to several plans being considered by major political parties. “I am confident that no one will curb the benefits offered by the existing healthcare schemes,” Democrat Party leader Abhisit Vejjajiva said at a debate on Thailand’s healthcare agenda. His opinion was echoed by core members of other parties, such as Future Forward Party leader Thanathorn Juangroongruangkit, Pheu Thai’s Khunying Sudarat Keyuraphan and Phalang Pracharat’s deputy leader Suvit Maesincee. When asked about the co-payment idea, Abhisit said it should instead be possible to boost the quality of service through a more efficient mobilisation of resources. Abhisit said if people really have to co-pay, then only consumers of “sin” products – alcohol and cigarettes – should be the ones to pay. Suvit too said he did not agree with the co-payment idea, saying he believed that co-procurement would be a better solution. “When really huge lots of medicine are procured, then prices can come down significantly,” he said. The idea of co-payment has been discussed over recent years amid reports that the soaring healthcare budget is finally taking its toll on the country. A comprehensive study suggests that the cost of the country’s three major schemes will grow from Bt330 billion last year to Bt394 billion in 2022 and Bt652 billion in 2037 if reforms are not put in place soon. Apart from the universal healthcare scheme, the two other main schemes are the social security scheme and the medical benefit scheme for civil servants and family members. Thanks to these three schemes, most Thais are able to get almost all types of medical services for free. Sudarat said she hopes the universal healthcare scheme, which was introduced as the Bt30-per-visit scheme while she was public health minister nearly two decades ago, would switch its focus back to healthcare – not just caring for the sick. “Current budgeting methods have distorted the key founding principles of this scheme. By always giving a bigger budget to hospitals handling a higher number of patients, the country may end up encouraging competition to deliver free medical treatments, while we in fact should focus on promoting good health,” Sudarat said. Suwit also supported the idea of a pro-active health promotion. Asked about the idea of merging the three healthcare schemes to ensure equality, Suwit said the basic benefits should definitely be the same across all these schemes. “But there is no need to merge them. Each of these schemes may offer something extra or above basic healthcare,” he said. Abhisit also disagreed with merging the schemes, pointing out that civil servants had joined public service in the belief that they and their family could enjoy medical benefits that were specially designed for them. “If we have a single scheme that applies to all, then it should be done for the new batch of civil servants, not the current ones,” he said. Sudarat, meanwhile, said there were other ways of ensuring that members of these three schemes get the same type of medical services and medicines. Among proposals to improve the scheme is the use of IT to enhance healthcare data-sharing, easing crowding and improving queues at medical facilities. “For very expensive treatments, we may explore insurance options,” he said.